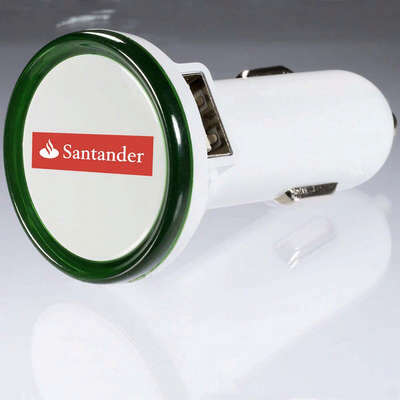 Charge your devices on the go with the charger Round USB Car Charger. 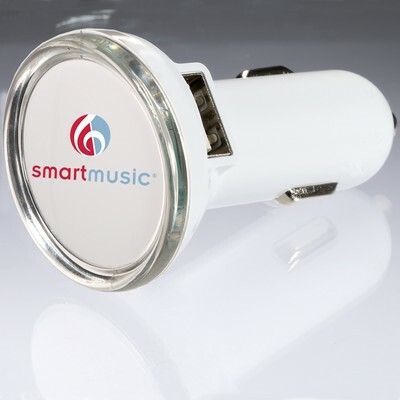 It has dual ports and an LED ring that illuminates when in use. Imprint Area : 1" dia. Charge your devices on the go with the charger Round USB Car Charger. 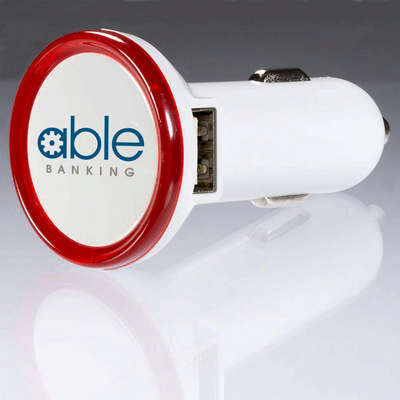 It has dual ports and an LED ring that illuminates when in use. It has an input: DC12V-24V and output: DC 5.0V-1000mA, 2.1-1A. The white USB port is for all Apple products such as iPod®, iPhone®, iPad®; Black USB port is for Samsung®, HTC, Blackberry®, smart phones, tablets, etc. This item is also available with 4-color print process imprint. 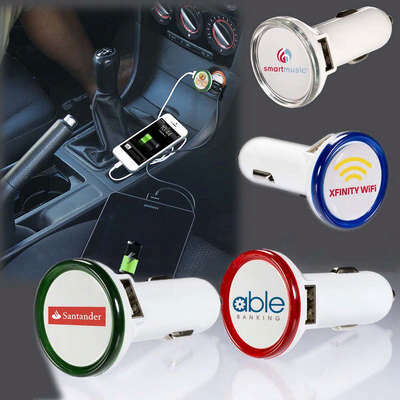 It is a great accessory to have in your car to charge your gadgets. 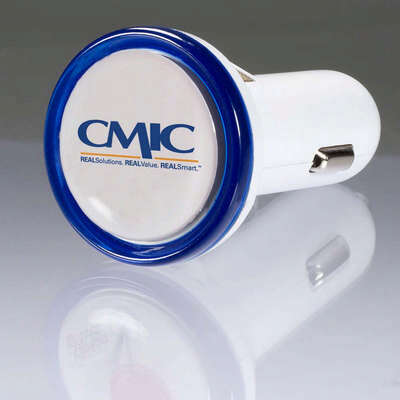 Imprint your logo in this car charger and add great mileage to your brand. Minimum number of items in each order: 40 items.